My newest work, Back of the Water, is now published on Inkitt’s Another World Contest, honoring the late master craftsman Terry Pratchett. Please read and vote for this story. 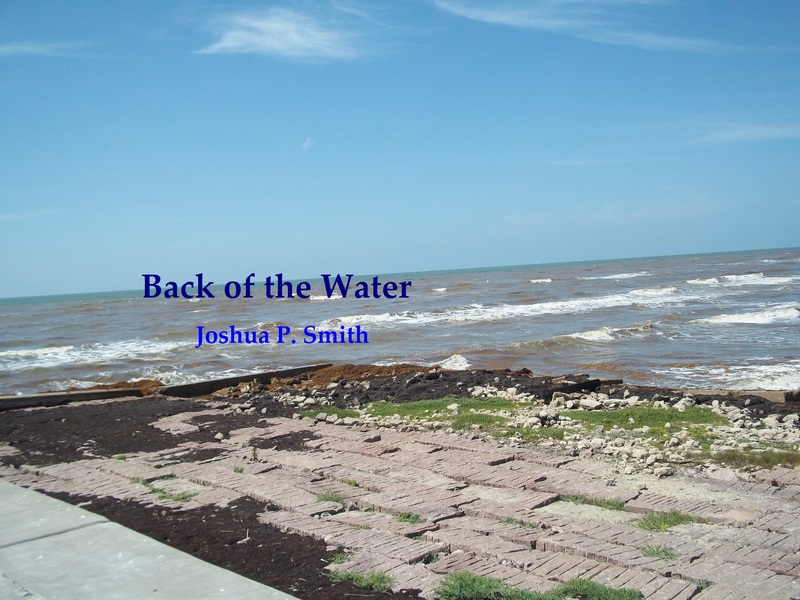 In the spirit of exploration and crafting of another world, Back of the Water transports us to a watery existence, where the only land is a single island and humanity dwells on a floating city. When a strange bacterium begins killing citizens and the food supply of the floating city, fish wrangler Ries initiates a desperate plan to investigate and find a cure. Instead, he and his allies find themselves in the middle of a deadly war between goddesses, bent on human destruction. Don’t turn your back on the ocean. Aelathia’s Weaving and Musings of Essencers…or should it be Weavings of Essencers…or… As you can discern, I’m having trouble with the title. Hopefully, as I near the end of the editing process, a title will be fermented. It truly needs to happen soon. Here’s another summary: In Aelathia, Yeltson Greggor leads an elite group of King’s Men knights, tasked with bringing down the secretive and lethal Slaver Coalition. Despite his reservations, Yeltson must work with essencers–those who can manipulate the world fabric. His on-going partnership with Raynt, a snarky spy with the scars of a forgotten childhood, the only essencer who has ever saved Yeltson, will be tested. Meanwhile, his love and devotion to renowned abolitionist Princess Amelia, will be called into question when he discovers that not only is she an essencer, but the niece to the Coalition leader. With accusations of treason mounting, leads drying up or dying, and a royal assassination threatening political stability, Yeltson, Raynt, and Amelia may be the only ones who can prevent an Aelathian world war. Meanwhile, A Rose By Any Other Thorn sits languishing in sequel limbo. Not a day goes by where my wandering mind carves out a scene, imagines the beautiful (facade of) elven cities of Lupacuo, or four-armed Glymphs riding into battle on war-rams. Unfortunately, Weavings comes first. Until I (and any future agent and publisher) know how that novel performs, Rose will linger in its second draft. Trust me, I am itching to bring the Aelathian characters into the political machinations of slavery-infused, magical hierarchy of Istante. In the first novel, Istante is only glimpsed by our brief encounter with Ambassador Ci’Dio. Their presence will continue to grow and bode heavily on the future of the series. We all must be patient. What was once Thorns of Salvation has been retitled to Diamonds and Thorns. I cannot help but write and have fallen in love with some of these characters. The plot has shifted significantly, landing it squarely in a fantasy and apocalyptic setting. The current plan is to have two books, with options to continue the characters with other adventures. Here’s a summary: Diamonds and Thorns follows three families forced into an uneasy alliance to prevent reality-shattering secrets from falling into the wrong hands. Their actions will not only inadvertently expose magic to the public, but summon a foreign force intent on multiplying and leaving bodies in its wake. This escalating war leaves the skies thick with ash, restless thorns writhing on the ground, and black diamond marks of fear. Hope those few insights into the novels were entertaining. I have several other projects in the works. These include a Diamonds and Thorns board/card game adaption with various expansions. I’m still designing the game mechanics but am confident that in a few months, we can begin working on a prototype…which means beta testing. As you may know, for over a year I’ve written for the blog GeekToGeek (nine23blog.wordpress.com, not the dating site). Late last year, I was asked to take a leadership role, editor-in-chief. (Like I know anything about being an editor-in-chief. Bah.) As a part of a three step process to grow the group, we purchased a new domain and merged all of our articles to GeeksToGeeks.com. This last month marked the end of my major writing involvement with GeeksToGeeks so I can instead focus on successfully launching Aelathia and Diamonds and Thorns. Our readers do not have to worry, though, I’ll be back in the fall and will continue to cover The Quest, Avengers: Age of Ultron, and Jurassic World in limited capacity. I’ll also still be behind the scenes, which is why I’m thankful we added to our writing staff and to everyone for allowing me this break. ‘Tis the season. This month I’m attending Writer’s Digest University Science Fiction/Fantasy Online Writing Conference and in July, I’ll be at the 2015 DFW Writer’s Conference. Wheelchair or motorized cart and all. Hmm…this would be a reason for such delays. In all transparency, my health took a nose dive during the holidays. Shortly before that, we received a revised diagnosis that I do not have “spinal myoclonus” but a “poorly defined severe neurological disorder”. It’s caused me to redefine what I do, when, and how much. Like that pesky checking account that can go in the red if you spend more than is actually in the account, so is my energy and physical capacity level. It can’t stop me, but it can certainly slow me. I hope my summer-long break from GeeksToGeeks will enable me to rest in-between endeavors, recover my strength, and catch up on projects. Giving up is never an option. Challenging myself, growing professionally and personally, and having fun being a husband, dad, friend, writer, and geek–that matters. This year is full of opportunities. It’s time. You may have read my http://AelathiaNovels.com Interview w/an Essencer. What is an essencer? Think wizard…(There are) multiple types of essencers. Advancers are most common; they run a communication network; work with construction, agriculture. Due to a 20-year-old prejudice after an event called Dreadbear Massacre, advancers are accepted in society, on the other hand, not so much essencers, who were responsible. The event itself impacts #Aelathia main character Yeltson, who must work with essencers to bring down a vast, shadowy, deadly, and powerful Slaver Coalition that threatens the people of the kingdom he serves. Unfortunately, he falls in love with not just an essencer who’s an abolitionist, but the niece of the head of the Coalition. Not only has he to reconcile memories of being buried alive in rubble for days as a child during the Massacre, now Yeltson must work with an essencer spy whose saved his life, over and over again, and the essencer niece of his sworn enemy. Life isn’t easy in #Aelathia. Next time we reach the number 42, I’ll release more of #Aelathia! Who are these essencers? What’s Yeltson’s tie to the Coalition? How’d the niece of a slaver become an abolitionist? Much more to come when we reach 343 followers and beyond. Thank you to all! Dragons, magic, villains, armies, a dark lord. ABC’s The Quest sounds like something out of The Wheel of Time. As far as we know, Rand al Thor has nothing to do with it… Brought to life by producers from The Lord of the Rings trilogy and The Amazing Race, The Quest deftly blends fantasy and reality TV into an epic package worthy of any geek’s interest. This time, I want to take a look at how their adventures, expertly designed by the entire cast, crew, and producers of The Quest have impacted a large audience in the real world. An audience so taken by the show that we’ve dubbed (Paladin Shondo pun intended) ourselves The Quest Army. We initiated the conversation on Twitter but it was decided, rather wisely, to move it to The Quest Army Facebook page. We seriously considered the questions about what it meant to be a hero. How do we define it and live it out in our lives? With so many TV shows that promote negative traits like arguing, betrayal, and backstabbing, The Quest is opposite. It instead promotes teamwork while encouraging the individual, it frowns on manipulations so common in reality TV. The show itself is the platform for this hero discussion. What we’ve seen, primarily on Twitter under #hero and then moved to Facebook, has been people with disabilities, backgrounds of abuse and bullying, deciding to change the way they think and perceive their world. Many are working on building social connections, altering their health and nutrition habits, and finally dealing with repressed emotions. We’re seeing people who would have otherwise isolated work on making contact across the United States, Europe, and Canada. They’ve been supportive of others who, for example, just had a heart attack. We’ve also been supportive of our men and women in uniform, nurses and other medical professionals, and educators and school workers (a math teacher and school counselor are in the final four). 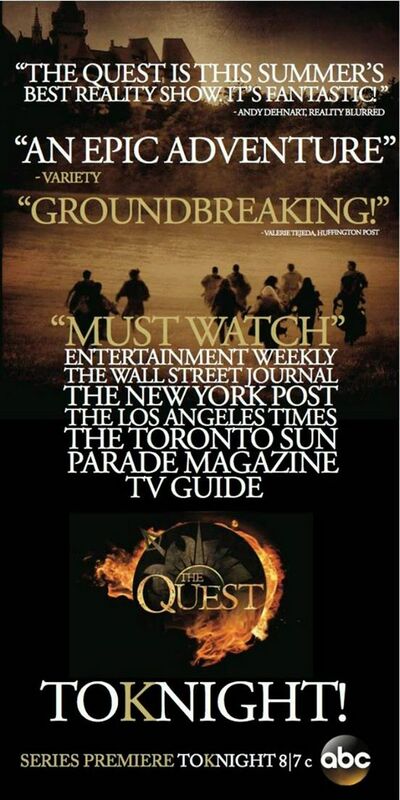 ABC’s The Quest. Paladin Patrick, a math teacher, is also known as Brother Bear for looking out for other paladin’s welfare. ABC’s The Quest. Paladin Lina is a school counselor and has been incredible working with fans during the hero discussion. On a day when we think of heroes, hold them close in our memory, The Quest honors that…by inspiring others to be heroes. What does it mean to be a hero? We came up with multiple things, but I believe it boils down to one major element: heroes love. They may know that’s what they’re doing, but when a person cares for someone else, sacrifices something for another or many others, when they strive to accomplish something not just for their own well being but for others, when they work at expanding their skillset, or overcoming personal issues, there’s love there. Many heroes we honor–the brave men and women who gave their lives today well more than a decade ago, we think of, we pause, we remember. We give thanks for our men and women in the military, our first responders, those in uniform, our doctors, nurses, teachers, people who serve. How many heroes do we overlook? How many have been trampled down by the harsh words of others? Unkind, unloving. Words that rattle and circulate in the brain of someone who believes they don’t have what it takes anymore? How many struggle with even caring about themselves, wanting to live, and don’t even know they have so much value because the harsh words of someone else carved and stamped that idea out? When we ponder loss and suicide, we remember that there are many reasons for it, but we can also remember this: we can help. If by a sheer act of blatant ridiculousness ABC doesn’t see the value of their show, The Quest Army does. The empathy and care for those who have been bullied, abused, suffered loss, setbacks, challenges, disabilities, sickness is overflowing. It is a glorious and magnificent achievement that the producers of The Quest have achieved. Something I’ve only seen rivaled in individuals or smaller groups of Christians and help groups. And it’s happening, because a TV show dared to stand in the face of all other reality TV shows out there and showed that it wouldn’t stand for what many see as cultural norms. It would break the mold. It would teach us that everyone has an opportunity to be a hero, right where we live. Just like we saw in the victims of 9/11. It’s so much more than that. It’s our lives. How will we chose to be a hero, today, tomorrow, and the next? Tonight, one of the last remaining four paladins becomes the One True hero. A fitting day for that coronation. 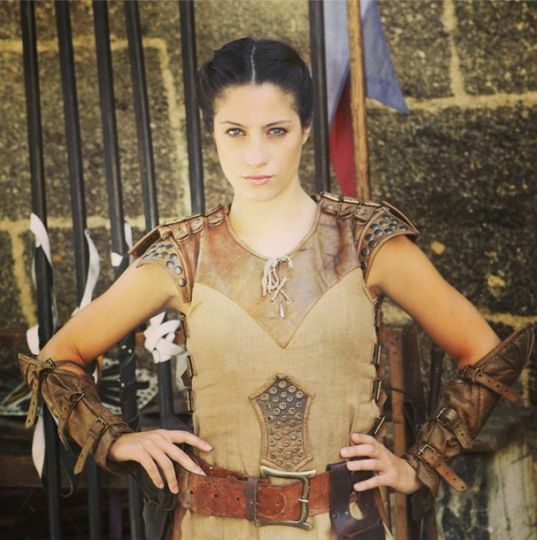 Tune in live tonight for the epic two-hour season finale of ABC’s The Quest at 8/7c. The more people who watch LIVE, the more we show ABC they have something priceless. Then, tomorrow, join myself and other fans as we Google+ hangout with Jane Fleming and Mark Ordesky of Lord of the Rings fame, two executive producers of The Quest. Mark and Jane will join us for the first half hour, after that, who knows what fun and discussions we’ll have? We’ll live stream on Twitter 9/8c 6pt, a link will be added here tomorrow. Be a hero. We believe in your. 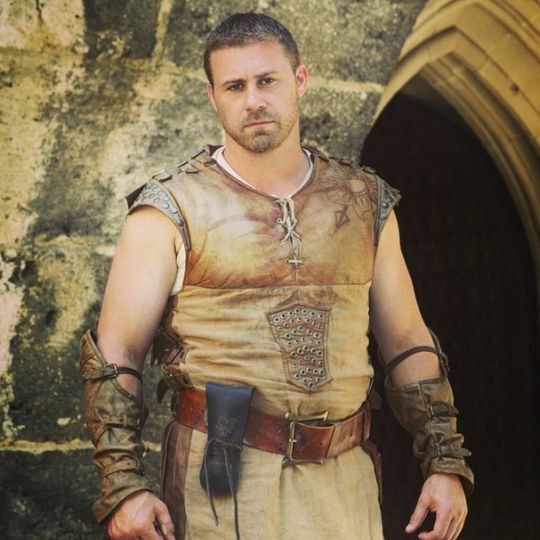 (Credit: Producer Rob Eric) Watch ABC’s The Quest two hour season finale tonight, 8/7c! Today, it’s a celebration! Hello, friends, and welcome back from what I hope was a fantastic three day weekend. Today, my Twitter account, @AelathiaNovels, reached 143 followers. Well, for a short time, that was 142…which strikes me so delightfully close to the number 42. How many Hitchhikers’ Guide to the Galaxy Fans out there? You would know that 42, in the book and movies, is the answer to life, the universe, and everything. Thus, it felt only fitting that I drop a clip on Twitter from the first Aelathia novel, Weaving and Musings of Essencers. A surging wave pushed the bow upwards. Yeltson steadied himself against the plank seat with his legs. The small ship rose so high that only the night sky could be seen. There, shaped into a mystical dragon pattern, were multiple bright blue stars. The oarsmen muttered to themselves as the ship suddenly fell with the wave, splashing as it slid against the ocean. “Silence,” Yeltson whispered. Yeltson flushed with pride, his six soldiers remained utterly quiet throughout the mess. These new stars didn’t help, but he wouldn’t have any of it. He didn’t care. It was the mission. The mission was everything. Hope you enjoyed that teaser, there’s more to come if my Twitter followers rise to 242…so make it happen! This is my official “I’m on vacation from blogging until the first week of September” notice. I want to focus on editing #Aelathia Weaving and Musings and also my new apocalyptic urban fantasy #ThornsOfSalvation, which I’m proud to announce the latter’s first draft is also officially 50% completed. Meanwhile, I’ve lined up some editing and polish time with the “Lord General of Aelathia”, a good friend, over the next week and a half as we hammer out the last few details of Weaving and Musings’ manuscript. I’m also taking some time off to focus on my health, which is in a state of flux as my body adjusts to a new medication. Much love, and I’ll see you back in the blog realm in September! I’ll be kicking things off with my long awaited #Snowpiercer review on Geek2Geek. Cheers, and as they say in Aelathia, happy harvest! It’s been a long time since I last posted here, I know. Here’s what’s been going on the last few months. Aelathia: Weaving and Musings of Essencers is undergoing some of the last steps before I begin querying agents. One of those is a revision to the first chapter, where I’ve synergized advice from genre experts and beta readers to hone that vital introduction to a fine blade of steel. I’ve also been advised to adjust the title, so I’ll keep you posted when and if that happens. The sequel, A Rose By Any Other Thorn, is currently on hold, but the current draft is so far along I’m not worried about it at all. Thorns of Salvation‘s first draft is just shy of 27,000 words out of the projected 75,000, meaning about 36% completed. I’m seriously loving this urban fantasy apocalyptic novel. Recently, the characters totally took over the story, utterly obliterating my outline. To me, any time the characters determine the path of the story, it means that tale is alive and breathing of its own volition. What I love about both of these series–and yes, Thorns of Salvation has become a series now, though it may be the title of the first book, a new title for the series has yet to make itself clear, replacing Tselmnasa–is how much I can play with a magic system. What are the boundaries and how can I stretch those? How does science play a part? Meanwhile, what are the various factions and worldviews the characters have? Whose really calling the shots? I enjoy political intrigue, conspiracies, espionage, and emotional angst. I’m very thankful my characters are willing to put up with me for everything I put them through. On another note, there’s a few other projects simmering on the stove top of my imagination: a science fiction/fantasy series and a standalone epic apocalyptic fantasy. Though I have notes, I haven’t proceeded to work on those. I’m also toying with a few short story ideas for contests, but so far nothing’s manifested itself. I think I’m just too busy to let those fly on their own, including a complete renovation of A’banna’s Tome. Finally, there’s a few projects directly related to both Aelathia and Thorns of Salvation that have been partially developed. It’s certainly a chance roll of the dice when they’ll see fruition, but the projects have come fairly far along and I have some excellent beta…hmm…friends willing to assist. There’s just some legalities to finalize before these projects move forward and I give you more than teasers. I’ve been writing heavily for the blog Geek2Geek, but I’m soon going to have a lot more time to return here. You may even see some posts from that blog make their way here over the next few months. As for things directly related to Aelathia, I’ve got some fun posts planned, including revisiting the Interview With series, exploring more of the world of Aelathia from the eyes of certain characters–yet with a modern journalism feel. Also, I’ve launched a new blog, Christian in Chaos, which focuses primarily on what it means when we have faith and suffer. It covers a lot of issues, most recently dealing with the LRA operating in central Africa and the #bordercrisis influx of refugees or immigrant children from Honduras, Guatemala, and El Salvador into both the United States and South American countries. This will probably be one of the few times I mention that blog here, as I like to keep them separate. These two blogs have consumed a lot of my time, but I’m really looking forward to revitalizing and restructuring this blog and looking into an author website. Lot’s of plans. I’m still exceptionally busy on Twitter. As always, you can follow my feed on the right side of the page. Here’s the kicker, pun intended. #Spinalmyoclonus has been an interesting companion. Often times, it continues to lay me out flat for a few days. It continues to be quite painful, abrupt, and intrusive to life. The specialists still aren’t certain why the seizure-like conditions remain after the virus supposedly worked its way through my system (and spine). So even though I’m not officially teaching, I’m still teaching medical professionals. Oh, the pleasure. Any online absence on my part is likely due to one of two rasons: 1) I’m focused heavily on my books and can’t spare the time, or 2) the weaving #myoclonus. As I’ve written before, I refuse to let myoclonus stop the writer in me. It will be done. Even for a disabled writer, there’s a lot happening, and I’m excited to share even this much with you. As things progress, you’ll start to see changes to this blog, hear more about the novels, and keep up to date with so much. Cheers, and happy harvest! As always, you can find me here or at Christian In Chaos, on Twitter @AelathiaNovels, or on Facebook Joshua P. Smith – Aelathia Novels.